The North Face Boys’ Reaxion T-Shirt keeps him warm on cool summer mornings when you’re making him pancakes at the campsite. 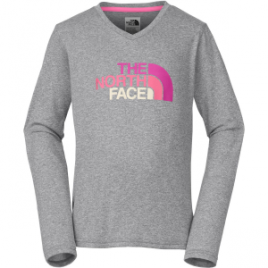 Become an instant favorite when you give her The North Face Girls’ Long-Sleeve Reaxion T-Shirt. 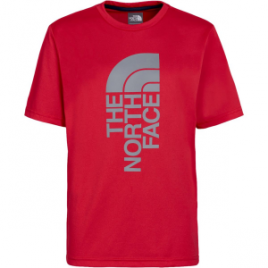 Super soft fabric and The North Face reflective logo will make this shirt, and you, a favorite for years on end. 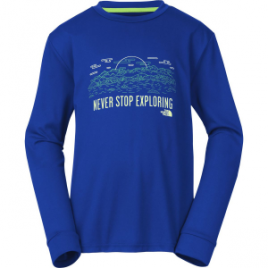 The North Face Boys’ Reaxion T-Shirt amps him up for the summer camping trip to Yosemite, and it will keep him cozy while you two hike up Half Dome. Its quick-drying fabric keeps him comfortably cool on the trail’s sweatiest sections. 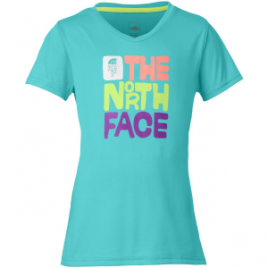 The North Face Girls’ Reaxion T-Shirt is a cute, colorful, and spunky choice for summer camping trips and the first day back to school.